Ben Dawson is on the front cover of February’s most popular local free newspaper, The Eastbourne Voice, he is fast becoming a locally recognised artist for his paintings of Landscapes, The Pier and Silver Birch trees. Ben will also be running painting Workshops at DC1 on Saturday 2nd, Saturday 9th, Saturday 16th and Saturday 23rd April – Online ticket details to follow. Full details on the events page. My name is Ben Dawson, I am a professional artist living in Pevensey Bay. I was born in Eastbourne, brought up in various countries including Mexico, Australia and France. Apart from a number of years teaching skiing and kitesurfing in France, Kenya and Egypt I have always loved living in and around Eastbourne. I come from an arty family, my uncle Andrew John Price has been a local Professional artist for 40 years. I have always painted and sketched and have often supported my travels by selling work. It was in August last year I decided I needed a permanent life change and made the frightening decision to try and make a living from my work. Despite some initial trepidation I have never looked back! I am lucky to live right on the beach in Pevensey Bay and draw great inspiration from the sea. I spend a great deal of time on the water paddle boarding and kitesurfing and many of my pieces are local views from my Paddle board. My favourite medium is Pen and Ink and my artistic style has been described as ‘architectural with energetic abstraction’. I use many techniques to gain some interesting effects and have gradually developed a signature look to my art. I have been excited to see the way my work has transformed over the past 8 or 9 months and am delighted so far and can’t wait to see what 2019 will bring! I am determined to continue developing as an artist and enjoy putting my own slant on some of the local views and buildings we have in our fabulous town. Whilst the majority of my work is commissioned, my paintings are on display at the Makery Gallery in Eastbourne Enterprise Center, where I am a member of a co-operative of twelve talented and lovely local artists. 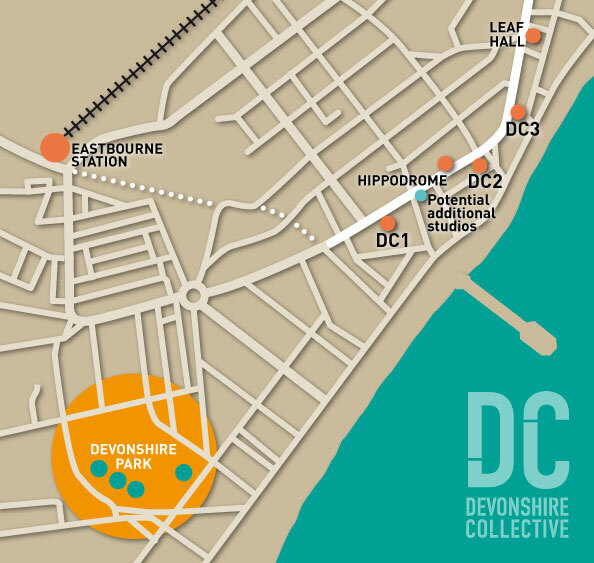 I also display in DC1, part of the Devonshire Collective and have pieces in the award winning Beach Kitchen Cafe in Beach Road. I am adding new places to exhibit all the time and am planning more open house events and art workshops through 2019. 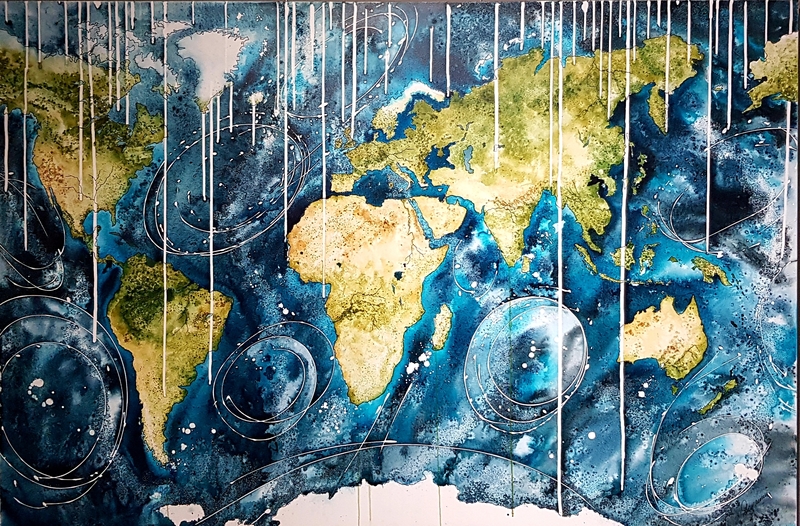 My paintings have featured in a number of publications and online art magazines and were used by Sarah Beeney in her C4 show Renovate not relocate. I have also entered SkyArt’s landscape artist of the Year.